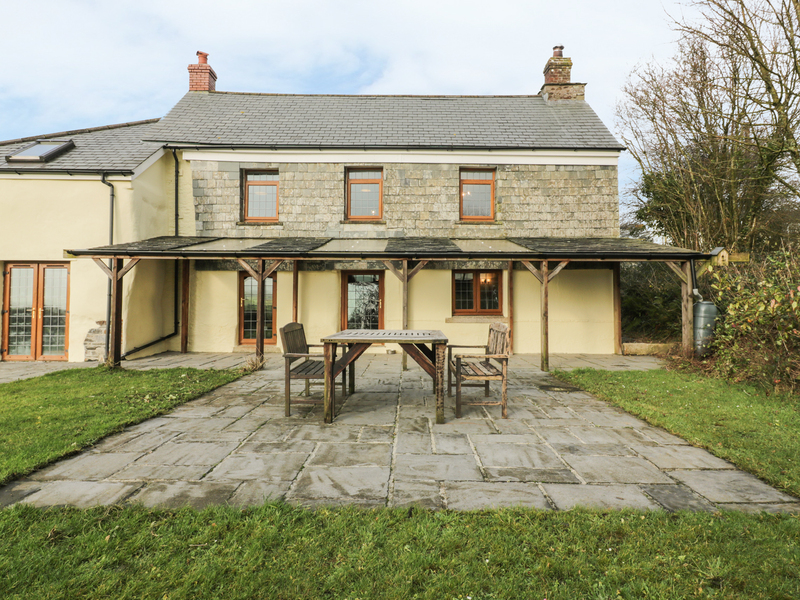 Lower West Curry Farmhouse is a well-appointed retreat, situated in the village of Launceston in Cornwall. Hosting four bedrooms; a king-size double, and three double bedrooms, along with two bathrooms, this property can sleep up to eight people. Inside you will also find an open-plan living area with kitchen, dining area and sitting area with woodburner as well as a utility room. Located in a lovely setting and close to notable attractions, Lower West Curry Farmhouse promises a memorable getaway in a heart-warming part of England. Calor gas central heating with woodburner. Electric cooker with induction hob, microwave, fridge, fridge/freezer, washing machine, tumble dryer, dishwasher, TV with Freeview, DVD, 4K Blue ray player WiFi, selection of books, games and DVDs. Fuel and power and starter pack for the woodburner inc. in rent. Bed linen and towels inc. in rent. Off road parking for 4 cars. Garden with covered terrace and furniture. Up to four well behaved pets welcome. Sorry, no smoking. Shop and pub 3 miles. Note: Please note the farmhouse can be booked with the adjoining cottage ref 963658 sleeping 10 in total. Note: Single sofa bed available, this will need to be requested via the owner before arrival.